Numb from being slammed by hundreds of marketing messages each day. Pissed off because they’ve bought plenty of products/services before that have failed to live up to their lofty claims. Confused and frustrated because, with so many choices, it’s difficult to differentiate one competitor’s solution from the next. A few months ago I wrote an article here about the 4 website elements I’d take over good design any day. One of these is what I call “The Credibility Factor”. Basically it’s about how to prove you’re someone your prospects should do business with. Featuring elements of credibility and proof on your website is critical to conversions.…especially in this day and age where skepticism of advertising claims is sky high. The most common way to bolster your credibility is the testimonial. But there are plenty of other ways to prove you’re worthy of a prospect’s dinero. So let’s look at 9 other ways you can beef up “The Credibility Factor” on your website to help convert skeptical prospects into buyers. Reviews are similar to testimonials. But they’re more powerful because they come from the actual users of a product/service sharing their impressions directly on your site. While reviews work especially well for eCommerce sites selling products (Amazon.com being the most noteworthy example), it can also work in other niches. 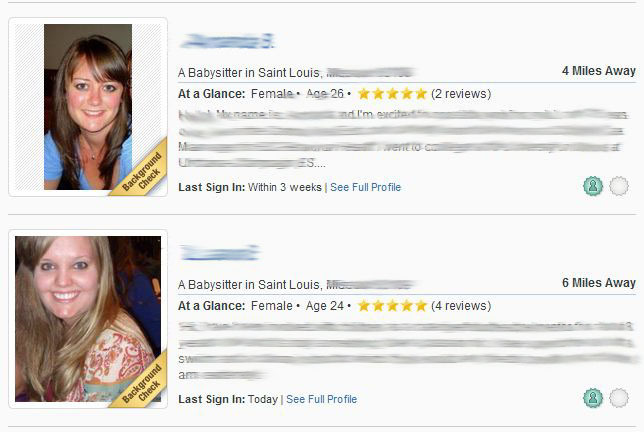 One example is SitterCity, a site where you can find local nannies and babysitters. As you can see in the screenshot below, they allow users to leave ratings for the sitters listed on their site. It’s one thing for the sitters to post on their profile about how wonderful they are, but something quite different for parents who have hired them to write a review saying how the sitter was on time, how much their kids loved the sitter, how the sitter stayed calm during a 45 minute temper tantrum by a 2 year old, etc. Won any awards? Received any special recognition for your work? Were you trained by one of the top gurus in your field? If so, let your prospects know about it! Last year my company was voted one of the Best Marketing Firms in St. Louis. As soon as that came out you better believe I put that above the fold on my website! Not only that, but I added “Award Winning” in the title tag of my home page so people are sure to see that in the search engines. Soon after doing this I picked up a new client who specifically mentioned that award as a main reason for contacting me. But it doesn’t have to be an award. It can be your educational background, industry certifications, special training, membership in industry organizations (especially if you’ve had a leadership role), etc. The key is that it’s related to your business. The fact that you won first prize in the local hot dog eating contest will probably not help the credibility of your wedding photography business! Media attention means credibility in the minds of most consumers. It doesn’t matter whether it’s from TV, radio, newspapers, magazines or an online media source. The fact that you, your company, or your products/services are noteworthy enough to get attention from the media provides that Credibility Factor we’re looking for. One way to highlight this coverage is to have a page on your site that features videos, press releases, stories, etc. from media exposure. 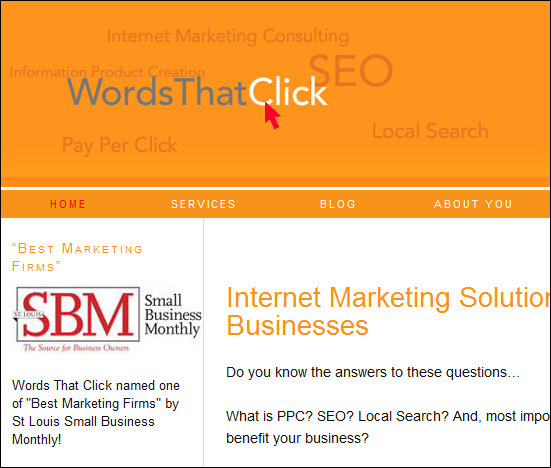 Adding the logos of the media outlets you’ve been featured on is another great way to highlight your media coverage. Just use a header like “As Seen On” or “Featured On” above the logos. Last month I used an ad from a plastic surgeon in Beverly Hills in the examples of successful AdWords ads. Here’s a screen capture of the section of his website of the media outlets he’s been featured on. This certainly makes an impression on prospective patients in this market! Citing studies (preferably from well known research universities, organizations or institutes) is another way to add some proof to your claims. The weight loss and diet supplement markets are great examples of industries that frequently cite scientific studies to bolster their claims. Here’s an example from a company in the supplement market that states right in the banner at the top of their site “Doctor designed, research supported™ Formulated by physicians from Harvard, Cornell, MIT and Bastyr”. They back this up elsewhere on their site and provide a link to see the research data supporting their products. If you can cite research or studies done on your product (or at least on the core concepts your product is based on), share that with your prospects! The research will help prove your case better than you trying to make the case on your own. 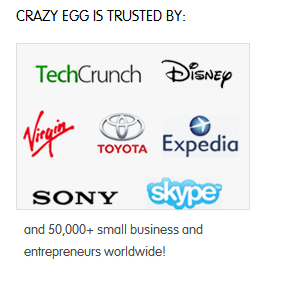 We don’t have to look any further than the Crazy Egg site to find a good example of a company featuring high profile clients that are using their product/service. Having companies like Disney, Sony and Toyota on your client list is a big deal. The credibility it provides is huge. It’s an instant validation in a prospect’s mind that your product/service is the real deal. Most people talk about guarantees as a way of reducing a prospect’s risk of buying from you. And, no doubt, it’s certainly a great way to do that. But a strong guarantee also shows that you stand behind your product/service (while reducing the risk to the prospect). And the stronger the guarantee, the more credibility it provides. Sure they could say patients have a comfortable experience at their office, can expect a short wait and the office does a great job on crowns, veneers and onlays. But a guarantee puts some teeth into those claims and adds a level of credibility their competitors don’t have. 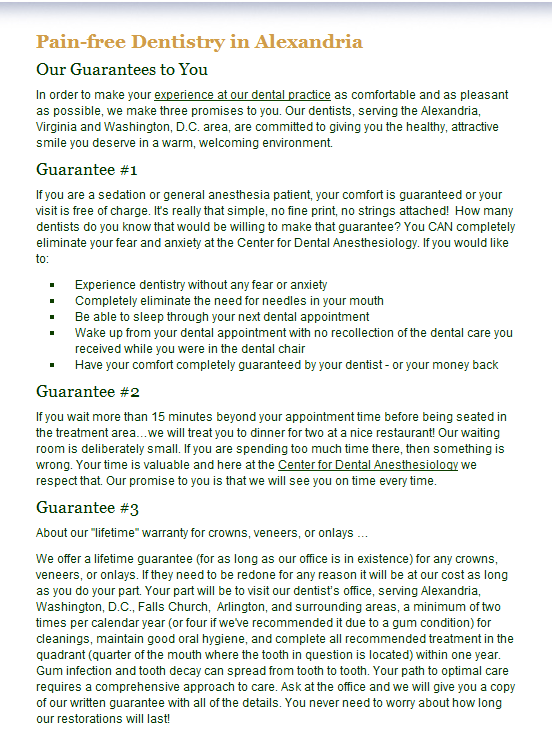 A powerful guarantee can be an especially useful form of credibility for a new company/product/service. If you don’t have testimonials, reviews, noteworthy clients, etc., offering a strong guarantee to show you fully believe and stand behind your offer may the best option you have. What can I add here?! If you’re reading this blog, you’re very well aware of the credibility that a well designed website carries! I wrote about the importance of specificity last month in regards to AdWords ads. Whether it’s in AdWords ads or on your website (or any form of marketing, for that matter), you add credibility to the mix by being specific. In fact, many of the other Credibility Factors mentioned in this post can be strengthened by adding specificity to them. A guarantee is good. A guarantee that details exactly what you’re guaranteeing and what customers get back if they’re not satisfied is much better. The fact that your new supplement for dogs has been shown to increase their lifespan is nice. The fact that, in a peer reviewed study by the University of Michigan Veterinary School, dogs taking your supplement lived an average of 2.4 years longer than dogs that didn’t, is the proof many will need to buy your product. A testimonial saying how wonderful you are is nice. A testimonial from a client touting the specific results they got from you (“Within 22 days of hiring you to help market my chiropractic office, I got a 22x ROI on what I paid you!”) is much more meaningful…and credible. Sometimes the best way to provide proof isn’t to tell them, but to show them. With high rates of broadband use and cheap solutions to capture and edit video, adding video proof on your site has never been easier. You can use it to demonstrate how your software works or give people a peak inside your membership site (see the Crazy Egg home page for an example). This makes your offering more tangible so people know exactly what they’re paying for. You can use it to show off your product by putting a mini infomercial on your site that highlights people using your product. If you are the product, you can put a video up on your site featuring you delivering valuable content and/or your marketing message (this strategy is pretty common in the Internet marketing niche). 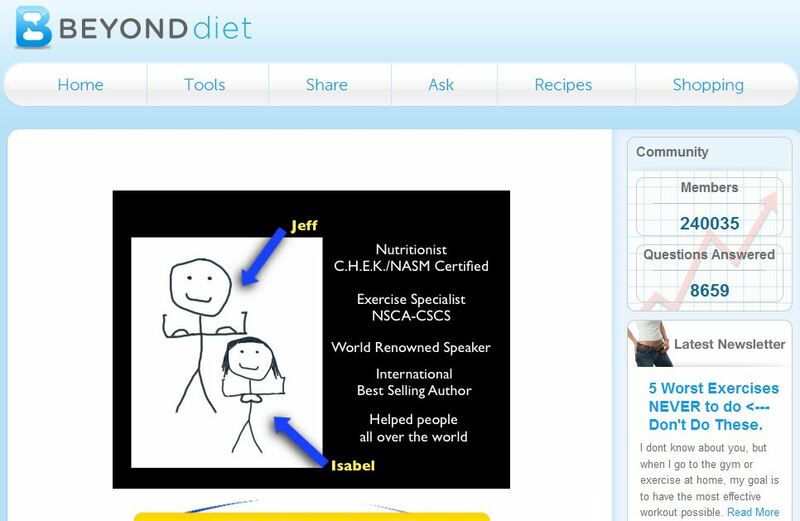 They use this video to tell the site owner’s personal story of weight loss, establish their credentials and detail exactly what you get as a member of their site. By using video they deliver this information in a more compelling way that enhances their authority in the minds of their prospects. Using video brings things to life in a way that words can’t. And, in doing so, helps make you and your claims more (everybody now!)…credible. Your prospects have all been taken for a ride by advertisers countless times. They’re looking for reasons not to believe your claims. Using the 9 Credibility Factors above will increase conversions on your website by providing the peace of mind prospects need to do business with you. These 9 techniques, however, are just the tip of the iceberg. In the comment section below, please share your favorite strategies for adding proof and credibility to a website.